Here Comes the Holiday Season! Christmas is on its way - can you feel it? The air is starting to get cold. The stores are full of holiday decor. And 93.9 LITE FM is advertising its flip to all Christmas music (brought to you by The Salvation Army, naturally). Can you guess when the LITE will switch on the holiday tunes? Meanwhile, The Salvation Army is diligently planning our holiday events to make sure Christmas is bright for all the families we serve. And we need your help to bring happiness and joy to those most in need. Here's what's happening, and how you can get involved. The Red Kettles Are Coming! Yep - those iconic red kettles and bell ringers are getting ready to hit the streets. You'll start seeing them on Friday, November 9, when they land in front of all Jewel-Osco stores throughout the Chicagoland area, as well as some other red kettle partners. The kettles will be out in full force on Friday, November 16. Did you know there are more than 1,000 red kettles throughout Chicagoland?! Go ahead and admit it - you've secretly always wanted to ring a bell for The Salvation Army. Well, now you can! Simply visit RegisterToRing.com to pick your date, time and location. If you sign up to ring between November 9th and December 2nd, you will be entered to win two tickets and a chance to be an honorary captain at the Chicago Wolves Red Kettle Game on December 15th! More details can be found here! Volunteer bell ringers raise an average of $30 per hour for Salvation Army programs and services. That means for every hour you ring, you're providing a family with two bags of groceries or providing a night of shelter for a neighbor in need. So, grab your coats, hats, mittens, scarves and thermos of hot chocolate and meet us at your closest red kettle. We'll provide the bells and the aprons. You provide the added cheer! LaRoyce Hawkins - you know him from his role as Officer Kevin Atwater on Chicago P.D. - is Harvey, Illinois' very own home-grown actor. He's also really good at spoken word. Seriously good. But this year, his greatest role is as Salvation Army Celebrity Kettle Ambassador. He's partnered with the Army to bring awareness and support for our services supporting neighbors in need. You can check out LaRoyce's spoken word talent in the public service announcement he's made for The Salvation Army's Fight for Good Christmas Campaign, rolling out on November 9th. Tune in to our YouTube channel and other social media to see it. 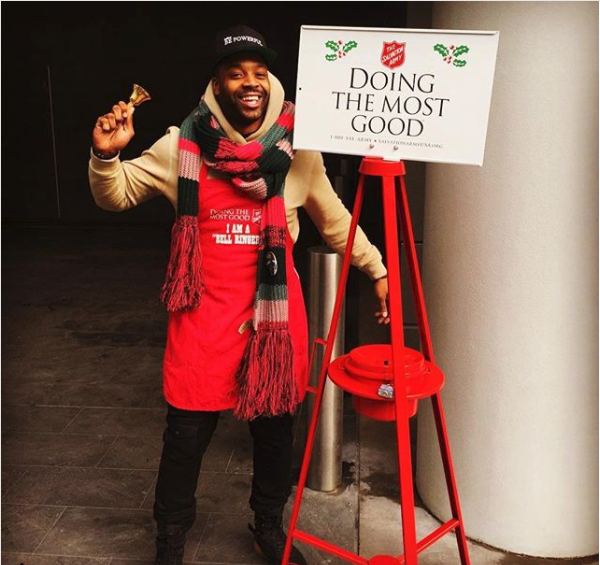 As Kettle Ambassador this season, LaRoyce will also be donning a volunteer apron and ringing a bell at an iconic red kettle... at a surprise location in Chicagoland. Follow The Salvation Army Metropolitan Division's Facebook page for more information on his bell ringing date and time. Maybe you can snag a snap with him after you drop some money in his kettle. If you're not already a LaRoyce fan, check out his Facebook, Twitter and Instagram! More Celebrity Bell Ringers Ring It On! We are excited to welcome back to Celebrity Corner NBC5's Phil Rogers (Facebook / Twitter) and Andy Avalos (Facebook / Twitter). 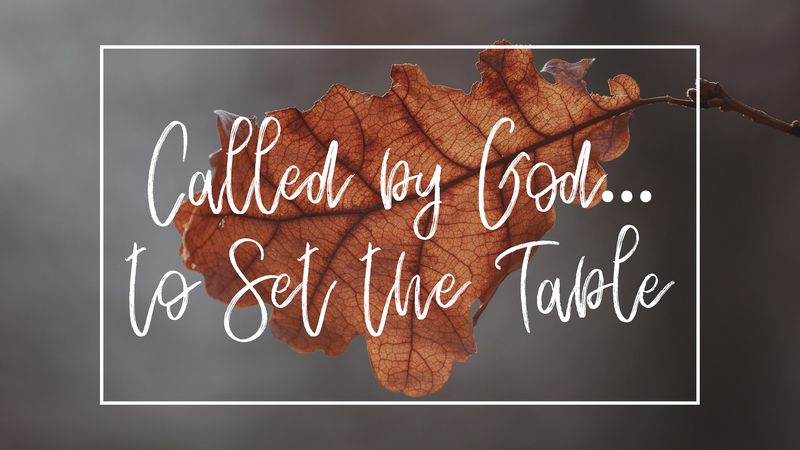 This year, they'll be involved in a friendly bell ringing competition to support The Salvation Army's programs throughout the Greater Chicagoland, Northern Illinois, and Northwest Indiana. Keep an eye on The Salvation Army Metropolitan Division's Facebook page for more information about their "Ring Off" and make sure you stop by to make a donation and cheer your favorite on to victory! This year Giving Tuesday is November 27th. Giving Tuesday is a global day of giving that supports philanthropy and charitable acts. Millions of people choose Giving Tuesday as an opportunity to recognize social efforts and support causes. When you give to The Salvation Army on this day - a traditional day of kindness and giving back - you make sure children have a joyous holiday, families sleep in a warm bed instead of a car, and seniors eat nutritious meals. Skates, Staley Da Bear, and JoJo oh my! Captain Shield's friends will be joining him at red kettles to celebrate #GivingTuesday! Stop by for epic high fives (and maybe drop a five in the kettle) and get a picture with your favorite mascot. Visit our Facebook Event page for times and locations. Not able to meet up with your mascot on 11/27? That's ok - you can still Join the Fight for Good and support The Salvation Army's Giving Tuesday campaign with a secure online donation. The Chicago Bears, Jewel-Osco and NBC5/Telemundo are once again collecting coats this winter to make sure children and families stay warm. Each year, generous donors provide more than 30,000 coats! The Chicago Bears/Jewel-Osco coat drive is celebrating its 30th anniversary of keeping families warm. New or gently used coats, hats, scarves and mittens can be dropped off at any Jewel-Osco location November 6 through February 1, 2019. 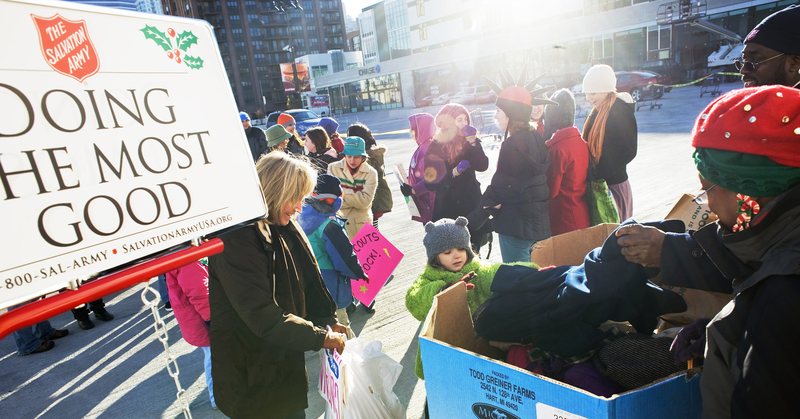 Did you know the total amount of coats collected during the three decades would fill Soldier Field?! The NBC5/Telemundo Making a Difference coat drive is November 19 through December 19. New or gently used coats, hats, scarves and mittens can be dropped off at selection Salvation Army family stores, Metra stations and NBC. The holidays are a perfect time to volunteer! It gets you in the spirit and you make a difference to people who need a little help. For more information on how to volunteer with The Salvation Army, call 773.205.3532 or 773.205.3502. Or send an email to the Volunteer Services department. We'd like to take time to thank you - our donors and supporters - for Joining the Fight for Good. When you give money or your time, you're helping to cure hunger, provide housing, brighten the holidays, empower youth, fight for justice and so much more. You make a difference in the lives of others, and we thank you.